On April 15, 1945 the British Second Army liberated the Nazi concentration camp, Bergen-Belsen. Situated north of Celle near Hanover, the original POW camp operated by the Wehrmacht in 1940 was expanded by the SS into a concentration camp in 1943. By the end of the war, Belsen became one of many destinations for inmates evacuated from other Nazi camps, leading to extreme overcrowding and deteriorating living conditions. The conditions confronting the British army at Bergen-Belsen in 1945 were catastrophic – approximately 40,000 inmates were suffering from extreme malnutrition and such diseases as typhus, typhoid and dysentery. The remains of nearly 18,000 corpses lay scattered through the camp. Because the initial weeks of liberation witnessed an increase in death rates among surviving inmates, historians have debated the approaches and effectiveness of the relief efforts at Bergen-Belsen. Historians Joanne Reilly, Hagit Lavsky, and Ben Shephard emphasize the immediate emergency relief efforts were hindered by a lack of personnel and supplies, a dearth of medical knowledge and experience among the military who were providing immediate relief, and pragmatic difficulties with the movement of so many survivors as disease and malnutrition increased. Once the military and medical staff was supplemented with civilian relief teams, as well as additional doctors and nurses, relief schemes were streamlined and death rates reduced. 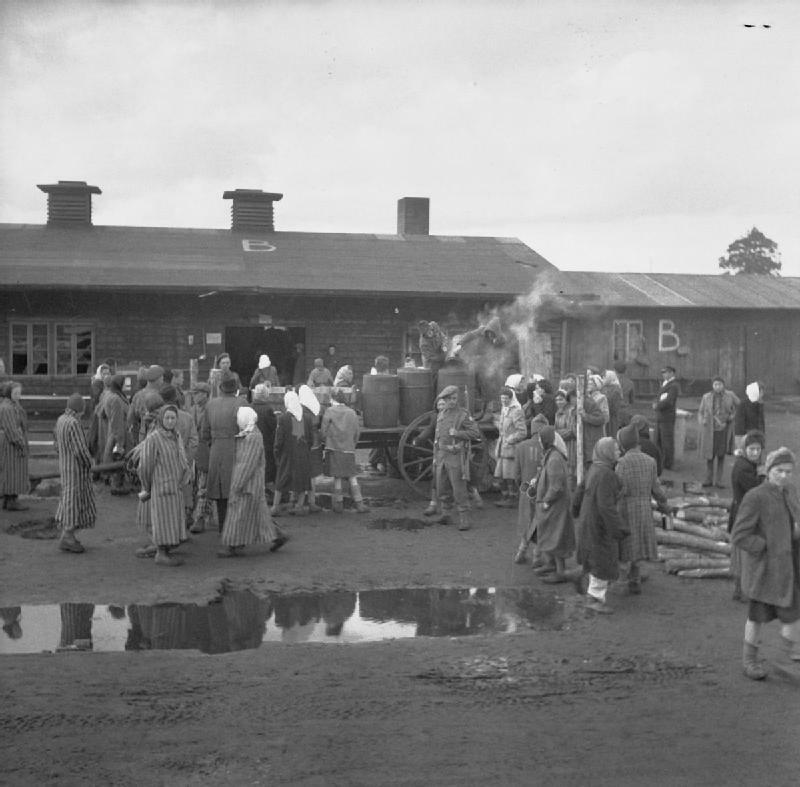 Liberation and preceding relief efforts in Belsen offer evidence of the benefit of cooperation between military bodies and civilian relief organizations in providing emergency relief. In 1943 the United Nations Relief and Rehabilitation Organization (UNRRA) emerged as an intergovernmental body that aimed to provide a planned and coordinated approach to post-war relief in Europe. Organized and supported by 44 nations, UNRRA represented a turning point in humanitarian history and practice. At its creation, the UNRRA-mandated relief efforts were organized by the UNNRA and practiced under the auspices of the Allied military. Thus, any voluntary society that wished to participate in relief efforts at the end of the war would answer to on-the-ground military authorities. This mandate was implemented during the liberation of Bergen-Belsen in 1945. 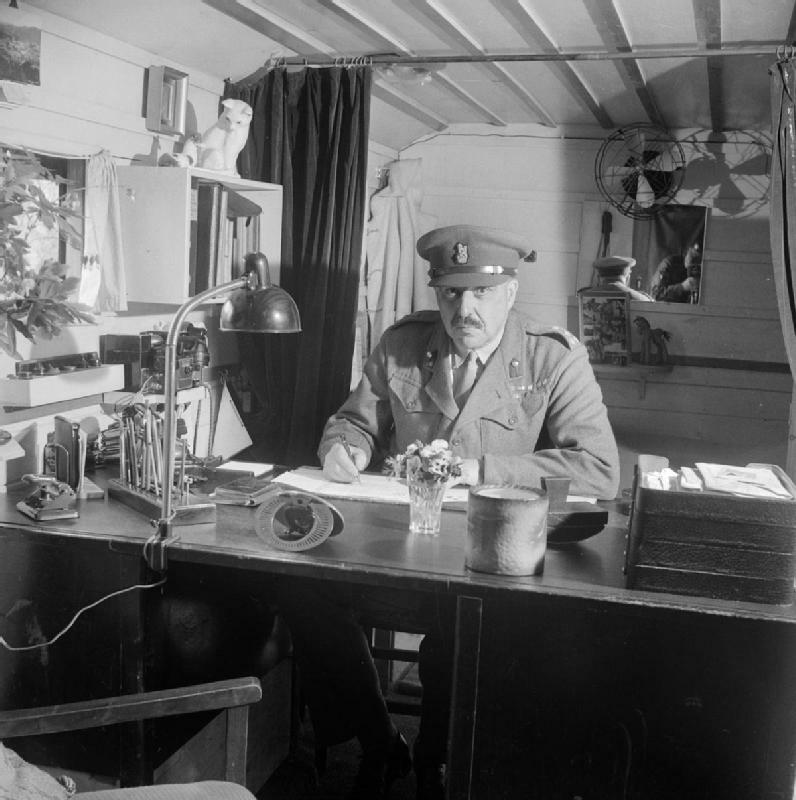 Brigadier Hugh Llewellyn Glyn Hughes (1892-1973 ), chief doctor to the British Second Army, arrived at the camp on April 15 and assessed the medical facilities and overall state of camp inmates. He designed a plan to first administer food and water, remove the dead, and transfer inmates out of the “horror camp” and away from the typhus epidemic. Food and clean water were his initial and primary concern; the military accessed and distributed local supplies of food, and although the camp water supply had been damaged, several lorries transported water carts into the camp. Liberating soldiers, quick to share their rations with the camp inmates, were unaware of the impact their rich food rations would have on malnourished bodies. Often this practice resulted in illness and death; Ben Shephard noted that an estimated 2,000 people perished because of soldiers sharing their rations with camp inmates (Shephard 2006: pp. 37). Yet, clean water and appropriate food represented only one component of the immediate needs of the camp. Hughes and those working to provide emergency medical relief sought to establish a triage that required the movement of “fit” surviving inmates from the “horror camp” to the nearby Panzer Training School (Camp 2). It took up to two weeks for additional medical units, the British Red Cross, and Friends Relief Service to arrive at Bergen-Belsen. Once in the camp, they worked with Hughes on his plan to eradicate typhus and transport survivors. Major William A. Davis, US Army Typhus Commission, arrived at Bergen-Belsen with anti-louse powder known as DDT. The use of DDT to delouse survivors before they were resettled in Camp 2 or in hospital barracks transformed the triage process that became known as “human laundry.” Additionally, the relief teams arriving to the camp were immediately put to work driving ambulances between the two camps, as well as assigned work on the water supply and sanitation systems. While the presence of women in relief teams raised several concerns among military and medical men in the camp, it was quickly realized their training and experience could be put to use. Duties assigned to female relief workers consisted of nursing in the hospital barracks, distributing food and clothing, and providing care in maternity wards. 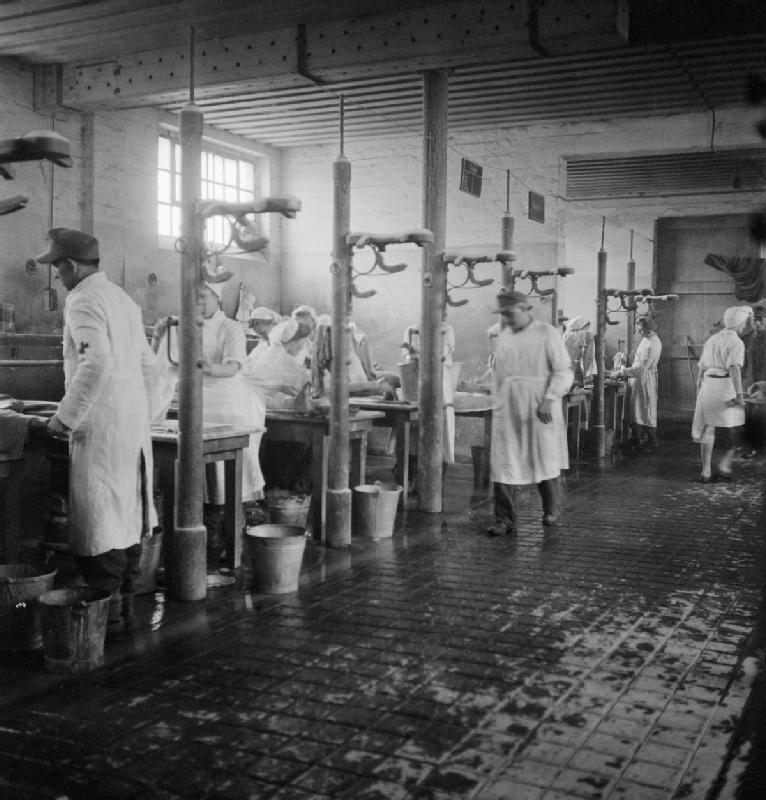 In these ways, the civilian relief teams assigned to Belsen and the schemes they helped develop and implement were integral in decreasing death rates, as well as in enabling rehabilitation among survivors. The UNRRA mandate stipulating coordination between military and civilian bodies set a precedent for humanitarian aid and practice. The stipulation created chaos and confusion during the first weeks following the liberation of Bergen-Belsen. Despite the presence of medical doctors, the military personnel providing emergency relief were unprepared for what they encountered. Although, medical authorities devised a plan, it could not be fully implemented because of the shortages of supplies, personnel and relief experience. Once the civilian relief teams arrived, the plan to evacuate surviving inmates and establish a controlled relief scheme could be fully realized. The relationship between military and civilian bodies during such complex humanitarian emergencies, out of practical necessity and in appreciation of efficiency, required cooperation. Furthermore, the relief efforts that followed liberation of Nazi concentration camps in 1945 were set in political frameworks of their time. First, concluding the war remained the primary goal of the Allied military and political agencies and therefore most energies focused on the needs of the armies. This goal complicated the ability of relief teams to access areas of humanitarian disaster in terms of communication lines between the armed forces on the ground, military headquarters, and relief teams, as well as the bureaucratic nature of the UNRRA. Second, Allied military and political agencies had abstractly defined who could and could not receive aid based on their wartime experience – individuals were deemed “enemy” and “victim” based on their relation to the Nazi German state. Such a simplistic approach to determining and providing aid proved difficult for various relief teams seeking to act per the developing humanitarian principles of impartiality, neutrality, and independence. Various relief teams challenged this approach and until the UNRRA and military bodies ceased to recognize and practice these distinctions, in some areas voluntary relief organizational aid was held up. In the case of Belsen, the relationship between military and civilian agencies in humanitarian relief required cooperation and mutual understanding. On one hand, civilian relief agencies could not enter and engage in humanitarian relief if the environment and conditions remained unsafe, or if their presence proved a hindrance to military action aimed at ending the war. On the other hand, not all military personnel were equipped or trained to design and implement relief schemes. Such cooperation, between military and civilian relief agencies, has since been carefully considered by humanitarian and state agencies in establishing policies and practices concerning efficient relief efforts during complex humanitarian crises. Bardgett, Suzanne, and David Cesarani, eds. Belsen 1945: New Historical Perspectives (Portland, OR: Vallentine Mitchell, 2006). Cohen, G. Daniel. In War’s Wake: Europe’s Displaced Persons in the Postwar Order (Oxford and New York: Oxford University Press, 2012). Lavsky, Hagit. New Beginnings: Holocaust Survivors in Bergen-Belsen and the British Zone, 1945-1950 (Detroit: Wayne State University Press, 2002). Reilly, Joanne. Belsen: The Liberation of a Concentration Camp (New York, NY: Routledge, 1998). Salvatici, Silvia. ‘Professionals of Humanitarianism: UNRRA Relief Officers in Post-War Europe’. In Dilemmas of Humanitarian Aid in the Twentieth Century, edited by Johannes Paulmann (Oxford: Oxford University Press, 2016): pp. 235-259. Shephard, Ben. After Daybreak: The Liberation of Bergen-Belsen, 1945. New York: Schocken Books, 2005. Shephard, Ben. “The Medical Relief Effort at Belsen,” in Belsen 1945: New Historical Perspectives, edited by Suzanne Bardgett and David Cesarani (London and Portland, OR: Vallentine Mitchell, 2006), 37. Steinert, Johannes-Dieter. 'British Humanitarian Assistance: Wartime Planning and Postwar Realities.' Journal of Contemporary History, Relief in the Aftermath of War, 43, no. 3 (July 2008): 421–35. Nerissa Aksamit is a PhD candidate in the Department of History at West Virginia University . Her research interests are war and society in modern Europe, women’s and gender history, and commemoration and memory studies. Her dissertation project, “British Friends Overseas Relief During and After the Second World War,” is an examination of the training and practice of relief efforts by the Friends Ambulance Unit and Friends Relief Service from 1939 to 1947. She was a participant of the Global Humanitarianism Research Academy 2016. Citation: Nerissa Aksamit. ‘Bergen-Belsen, 1945: Military and Civilian Cooperation in Relief’, in Online Atlas on the History of Humanitarianism and Human Rights, edited by Fabian Klose, Marc Palen, Johannes Paulmann, and Andrew Thompson, 2017-06, urn:nbn:de:0159-2017071028 [2019-04-26].